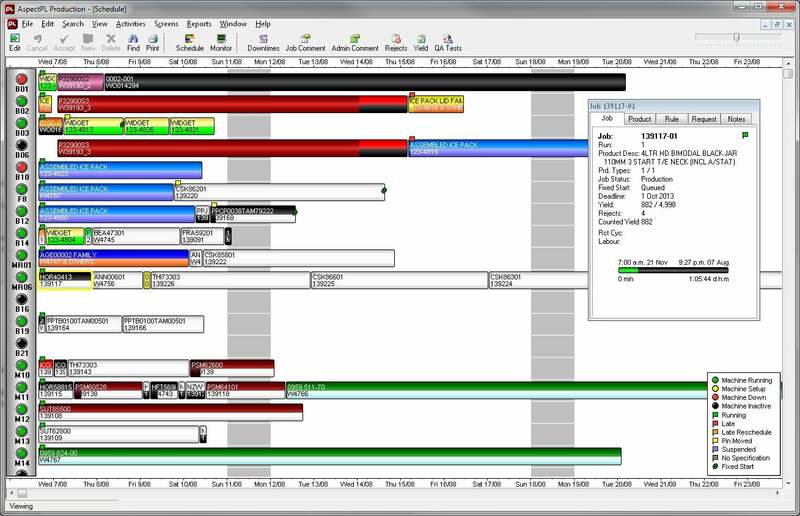 An easy to use ‘drag & drop’ gantt chart interface. Underlying factory and work centre calendar. Auto-schedule’ capabilities, allowing a user to schedule a week’s work in a few minutes. Manages complex family tools and product dependencies with ease. Active default dual color display for products, tools, material classes, tool and colour changes. Segmentation of the production facility by department. Multiple schedule reports for material picking, tool change preparation, schedule status, resource and material planning. Late and overdue job visualization and reporting. © 2016 Aspect Productivity Technology Ltd 2009. All rights reserved.